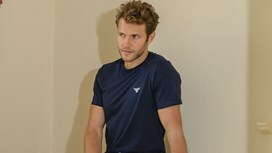 Bolster your wardrobe essentials with our smart navy t-shirt for him. Designed with function in mind, our practical t-shirts suit boys and men of all ages and make a unique gift that can be used for the every day. 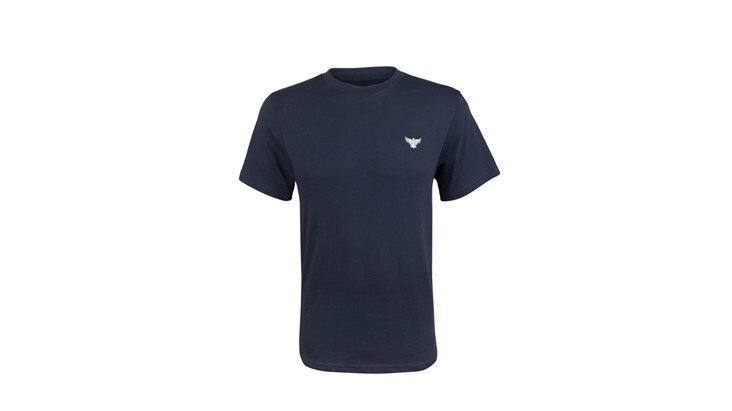 For dressing down a smart pair of jeans, layering underneath jumpers and cardigans, or even to wear as a snug pyjama top, our luxurious crew neck t-shirt accentuated with a smart eagle logo is an absolute must-have! 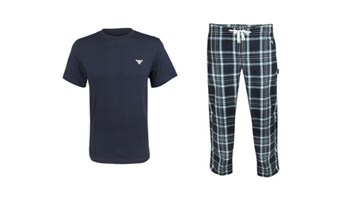 Available in four different sizes, our t-shirts for boys are both stylish and versatile. 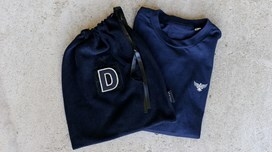 They are also made from 100% cotton, meaning that they not only look sophisticated but are soft and hard wearing. 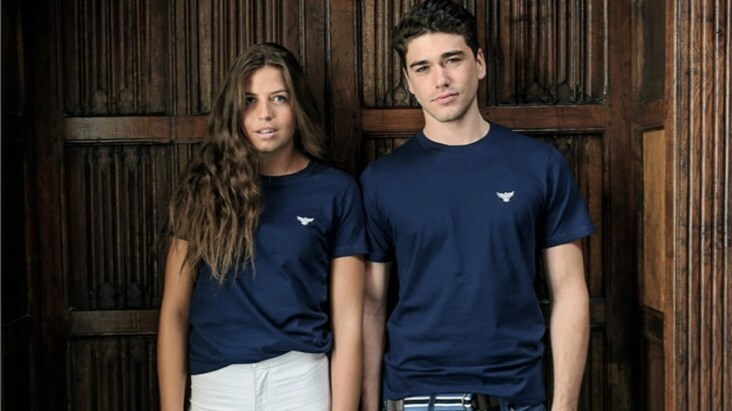 Perfect for the summer months, our stunning navy t-shirts are also available for her. Whether being bought as a gift or for personal use, our navy t-shirts look smart when paired with our luxurious brush cotton lounge pants for the ultimate sleep style! 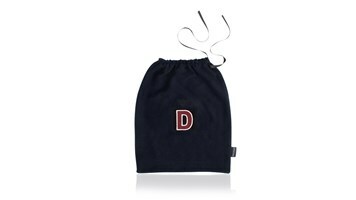 Presented in a fleece gift bag that can be personalised with our micro-gripper letters or symbols, the pyjama set for boys combines practicality with style.  Shop for the pyjama short set or lounge pant set today. If you would like to contain this practical t-shirt for boys in a personalised gift bag, buy it separately here. To create an unusual gift for him, why not gift wrap this t-shirt in our smart branded gift boxes. Choose from the drop down menu.